Let me preface this by saying I barely know what I am doing with My BB in general. 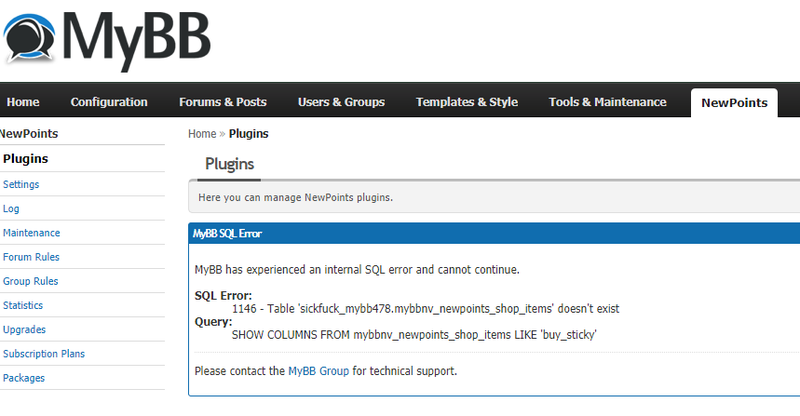 But I have been running my forum with newpoints for a few years now and haven't had a problem. Today someone tried to register a new account and sent me an error screen they were receiving. It had something to do with the Newpoints Shop. So I thought I would disable the shop plug in. I went to the Admin Control Panel, clicked the Newpoints tab. Clicked Plugins and clicked uninstall or disable. I dont remember which. How can I fix this and add the shop back? Please and thank you.